Save on future visits with the purchase of an Omaha's Henry Doorly Zoo and Aquarium membership. Valid for one full year from the date of purchase, Omaha's Henry Doorly Zoo and Aquarium memberships are available in the following levels: individual, dual, household, grandparent and active duty military. Select "purchase a membership" below to buy one online or download a membership application form to submit by mail. Please contact the Membership Department at join@OmahaZoo.com or (402) 733-8401 with additional questions. Member benefits for one listed member. Membership benefits for two listed members at one address or one listed member and one guest. Also includes six children (ages 0-20) at member's address on each visit. Also includes six grandchildren (ages 0-20) on each visit. Available at the Zoo only when providing active duty or spouse photo ID. One individual must be active duty (Military, Guard or Reserve). Free admission for Wildlife Safari Park at the Zoo membership level selected. Wildlife Safari Park is open April through October. Zoo and Lozier Theater admission for the named nanny when accompanying up to six children (ages 0-20) at member's address. Available for household, dual or active duty military levels. Zoo and Lozier Theater admission for one guest per day with member visit. Zoo and Lozier Theater admission for two guests per day with member visit. All memberships are non-refundable and non-transferable. Contact the Membership Department at join@OmahaZoo.com for more information. Store your membership card on your mobile device using the Zoo’s FREE official mobile app, available for download on Apple’s App Store and Google Play. 1. Download and install Omaha's Henry Doorly Zoo and Aquarium's app to your mobile device. The app requires iOS 7.0 or later and is compatible with iPhone, iPad and iPod Touch. 2. Enter required information into the My Membership Card section of the app. Please note: Your Member ID number is not the number on the back of your membership card. You can obtain your Member ID on your next visit or you may request your Member ID by emailing mobileapp@OmahaZoo.com. Once the correct information is entered, select Lookup Membership at the bottom of the screen. The device must have an active internet connection to complete this step. If all of the information matches the member profile information given at the time of purchase the unverified membership card will appear. 3. The Virtual Membership card is now ready to be authorized by a Guest Services staff member. Please bring the device plus your valid ID on your next visit and we will finalize the process. Your Virtual Membership Card will then be ready for use! What can I use my Virtual Membership Card for? How many Virtual Membership Cards can we activate? Each adult that is listed on the pass may obtain a virtual card. Any dependent children under the age of 21 with a valid ID, who’s address matches the one on the membership profile, may obtain a virtual card. A Nanny/Babysitter may activate a virtual card if the membership add on has been purchased and that person is listed on the membership profile. We have a Patron Membership, can we activate a Virtual Membership Card too? Yes, the steps are the same for any level of membership. I have entered all my correct information and it is saying “Member Details Not Found”. There may be an error in your member record. Please email mobileapp@OmahaZoo.com with the three required fields exactly as you are entering them into the app. We will verify the correct information is in our system and take any other steps needed to remedy the situation. Your Member ID number is not the number on the back of your membership card. 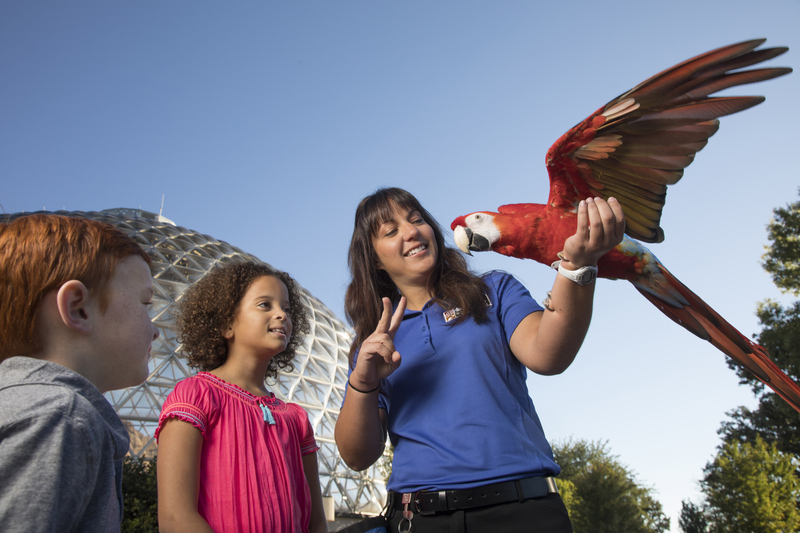 You can obtain your Member ID on your next visit or you may request it by emailing mobileapp@OmahaZoo.com. Why should I obtain a Virtual Membership Card? By activating your Virtual Membership Card, you will see several benefits. Fast Service: Convenient! Keeping track of your phone is much easier than one of many plastic cards. A Virtual Membership Card makes accessing your member information much quicker than searching for it. Helpful Information: The Virtual Membership Card will include the names of the adults listed on the pass, membership type and expiration date. How much does the Virtual Membership Card or the Zoo's mobile app cost? There are no additional costs for either. What are the other advantages of downloading the Zoo's mobile app? In addition to buying tickets and having the latest Zoo news, educational programming and visitor information at the palm of your hand, users will be able to enjoy a GPS-enabled Zoo map, interactive special events and animal encounters calendars, geo-fencing technology, push notifications, a social media-friendly photo booth and Wildlife Safari Park guide. Click here for more information. I have other questions about the Zoo's mobile app or the Virtual Membership Card. Please email mobileapp@OmahaZoo.com and we will get your questions answered! Need to revise or make a correction to your current membership record? Please contact join@omahazoo.com. All adjustments must be submitted at least one week prior to your next visit. Give the gift of a Zoo membership year-round! Online gift memberships are now available! An online gift membership is similar to a generic gift card. The online gift membership card is purchased for a specific membership price level (e.g. household membership). Your online gift membership card will be emailed to you as a PDF that you can print out or forward to the recipient via email. The recipient redeems their online gift membership at Guest Services, located at the main entrance of the Zoo, on their first visit to receive their permanent membership card and begin enjoying 12 months of member benefits. When purchasing an Online Gift Membership, you are allowing your recipient to decide when their memberships begins. Gift memberships not purchased online begin on the date of purchase and are valid for new members or from current membership expiration date for renewal members. If you prefer to purchase your gift in person, call (402) 733-8401 or visit the Zoo’s Guest Services Office. The office is open from 10 a.m. - 4 p.m. daily from November 1 - March 14 and from 9 a.m. - 5 p.m. daily from March 15 - October 31. The office is closed on Christmas Day. Gift memberships purchased by phone can be mailed to the gift buyer or gift recipient. Gift Memberships purchased at the Guest Services Office will be given to the gift buyer at time of purchase. Click here for a complete list of reciprocal zoos. Omaha's Henry Doorly Zoo and Aquarium members will receive 50% off of general admission at participating zoos. Members of participating zoos will receive 50% off of general admission at the Omaha 's Henry Doorly Zoo and Aquarium. One valid cardholder must provide membership card and photo ID on each visit for membership to be valid. Through a patron membership, you give an invaluable gift to yourself, your family, the community and to all the amazing, awe-inspiring creatures that roam within the Zoo's boundaries. Review the different patron membership levels below and be a zooporter today! Join online or download a patron membership application form to submit by mail. Click here to purchase this patron membership level. For more than 20 years, First National Bank of Omaha is sponsoring an Omaha’s Henry Doorly Zoo and Aquarium Visa® credit card. This relationship benefits our members and the Zoo. If you are a current Omaha’s Henry Doorly Zoo and Aquarium Visa® cardholder, use your Visa card to purchase your Omaha’s Henry Doorly Zoo and Aquarium membership and receive $10 off your purchase. If you don’t have an Omaha’s Henry Doorly Zoo and Aquarium Visa® card yet, apply today! Your card must be present and used to purchase your membership to save $10. To purchase a membership using your Omaha's Henry Doorly Zoo and Aquarium Visa® card, proceed through the normal purchase or renewal process. On the checkout screen, choose Omaha's Henry Doorly Zoo and Aquarium Visa®card in the "card type" drop-down box and enter that card number. Your $10 discount will be automatically applied.